Zimbabwe’s bond notes: the birth of a new currency? The bond notes have arrived! Well at least a $2 one and a $1 coin. Subject to street protests, court cases, beatings and arrests, and the object of both ridicule and fear, never has a new form of exchange been subject to such intense – and prolonged – debate. I got my first note in a bar in Mvurwi on the day they were released, and they have been circulating widely since. While, the Reserve Bank of Zimbabwe (RBZ) didn’t follow my advice for the design and instead opted for the famous Epworth balancing rocks on one side and a picture of parliament and the Heroes Acre flame on the other, they certainly look like ‘real’ money. But exchange is all about trust and confidence, and that has been in short supply. The RBZ’s endless TV adverts and the full page spreads in the newspapers, along with the calming words of a string of ministers, will not satisfy everyone. The bond notes are supposed to provide an incentive for those who export, and aimed to preventing the massive expatriation of US dollars. Zimbabwe has become the ‘bureau de change’ of the region, with foreigners joining local elites in removing valuable currency reserves. The result has been a massive liquidity crunch, with less and less physical cash circulating. Yet the spectre of a return to the Zimbabwe dollar, and a return to money printing and hyperinflation is ever present. The trauma of 2008 is very recent, and memories last. Of course Zimbabweans have had bond coins for a while, and they appeared without any fuss. In the absence of small change, and as an alternative to endless supplies of boiled sweets and lollipops as change in supermarkets, the small denomination bond coins were widely welcomed. The government has assured the population that the new bond notes are backed by a US$200m bank loan and only that amount will be issued, although the details of the deal with Afrexim bank remain opaque. With such backing, it is argued, the new notes are ‘real’, exchangeable one to one with the US dollar. In most transactions this seems to be the case and over two weeks I have not had a bond note refused, although parallel trading to secure US dollars has inevitably started with the exchange apparently currently at 1:0.7. The fear certainly exists that with new control on monetary policy, there will be a temptation to print more, with or without security, and this will get out of hand once again, with local accounts filled with useless bond notes, as was the case with the ill-fated Zimbabwe dollar. Some claim that there was under a million US dollars of physical cash circulating in the economy, although Finance Minister Chinamasa is more optimistic. Much of this is not in the banks, as many prefer to store it themselves, and significant amounts may have already left the country, so it’s difficult to know. But bank queues and limits on withdrawals (down at one stage to $50 a day) were witness to the troubles being faced. The liquidity crunch is severely hampering business and constraining investment, so boosting cash supply must be a good thing. However many fear the gradual conversion to a local currency, while hard-earned US dollars are siphoned off from bank accounts to service the government’s massive debts. It is no surprise that many commentators remain sceptical. While the present RBZ governor, John Mangudya, is no Gideon Gono with is wild ‘casino economy’ of the mid-2000s, the severe economic crisis, combined with huge corruption, suggest desperate moves are possible, especially if pushed by political circumstances. It is also worth reflecting on some of the potential benefits of this controversial move. While many have moved to cashless exchange – just as Greece did during the euro crisis and India is trying to do now – the lack of hard cash in circulation can affect exchange. I was in a resettlement area the other day, and one of my colleagues bought two buckets of sugar beans for $40 using an ecocash transfer there and then, thanks to both parties having accounts and there being 3G network. But not everyone has a mobile ecocash account, an electronic ‘wallet’ on a smart phone or a swipe card linked to a bank account, although in a very short space of time out of necessity increasing numbers do. As we enter the farming season, having small dollar denominations that are valid sources of exchange is vital for buying inputs, marketing crops and for day-to-day supplies. Going to the grinding mill, buying a cup of beans, securing a bag of fresh termites or purchasing a bowl of maize flour cannot be done without. You can already see the changes happening as cash circulates again, particularly in rural areas where such exchanges are so vital. 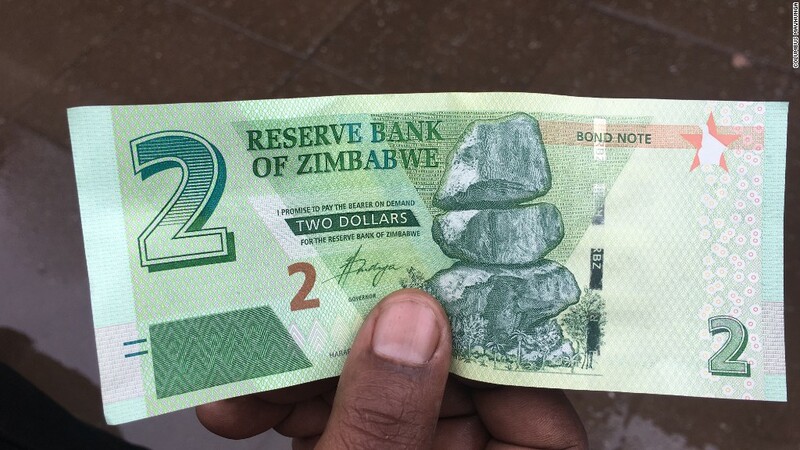 Keeping the bond note introduction to small denominations, up to $5 (although we haven’t seen this one yet – apparently with giraffes on the note), seems to make much sense, particularly for those outside the electronic exchange economy. We will however fear the worst if denominations creep up, and hugely divergent parallel markets emerge. We all remember how notes and bearer cheques increased in the 2000s, with so many zeros that cash machines couldn’t cope. While the introduction of the US dollar in 2009 put an end to the hyperinflationary period at a stroke, it also limited options for economic policy making, hiked prices, reduced liquidity, as the dollar is so strong, and domestic growth and productivity is so low. The Rand as an alternative currency in a multicurrency environment soon got squeezed, and the US dollar dominated. US dollars in a region of weak currencies proved a honey pot for those wanting to exchange into a harder currency, and often illegally moved funds offshore, reducing cash availability yet further. Returning to a more diverse currency arrangement, with US dollars focused on international transactions, and bond notes, and perhaps the Rand making a comeback, being more for local exchange, has some logic. Radical and inventive solutions are certainly needed, as Zimbabwe’s economy is in dire straits. Injection of cash to relieve some liquidity problems must be combined with new investment, and increased export earnings. 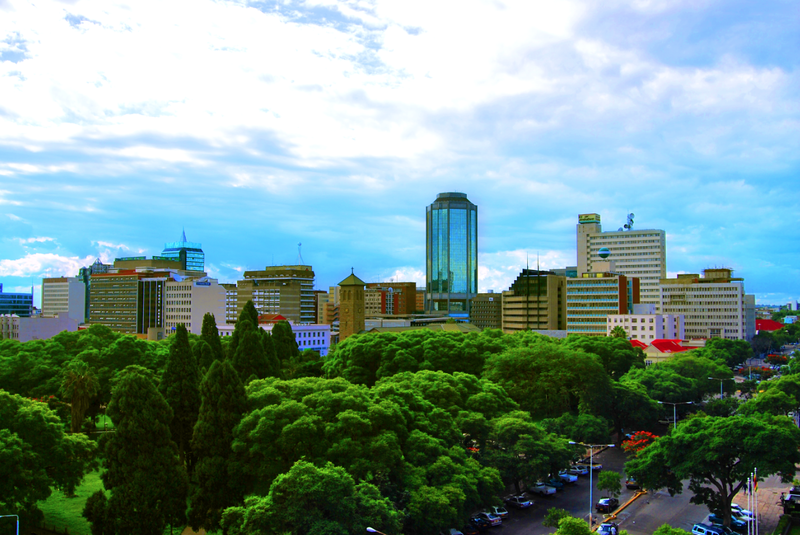 Whether gaining access to bond notes will incentivise this waits to be seen, and more structural macro-economic measures, combined with improved political relations with investor countries, will have to take place in tandem.